It opened its doors in 1979 and ever since, its reputation has grown to such a degree that today it’s considered one of the top five hotels in Seoul. Shilla advertises a unique style as well, being one of the few renowned hotels in the city to feature authentic Korean architecture in its lobby, as well as in its rooms. The hotel is home to five distinguished restaurants: Palsun, Ariake, Continental, La Yeon, and The Parkview. At Palsun, you’ll find high-end Chinese cuisine; at Ariake, you’ll relish in Japanese dishes with a fresh and modern twist; at Continental, French cuisine reigns and the wine list astonishes; at La Yeon, you’ll find the very best of Korea in a three Michelin star meal; and, finally, at the Parkview, the finest ingredients are prepared in an open kitchen and can be savored at all hours thanks to Shilla’s “all-day dining” service. 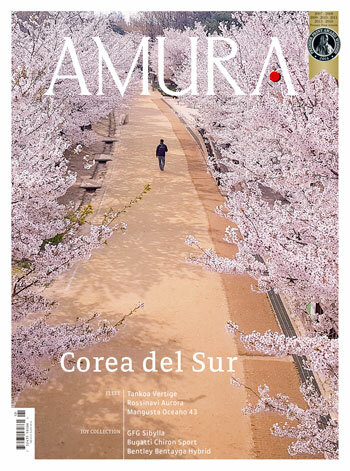 Text: Andrés Ordorica ± Photo: Lifety Lecn / the Shilla Hotel / tfr / tumgall-day dining.